The National Museum of American History preserves a wide variety of historical artifacts, archival documents, and library materials. In these Object Groups, curators have gathered items that relate to each other and provided background and contextual information to supplement basic object identifications. Nearly 40 examples of prints from three government survey expeditions to the American West: the U.S. and Mexico Boundary Survey, the U.S. Naval Astronomical Expedition to the Southern Hemisphere, and the U.S. Pacific Railroad Surveys. From the mid-19th century, Americans have used simple instruments to assist them in doing arithmetic. Some of these did not actually add and subtract, but made it easier for users to do so. These included not only the abacus, but also devices called adders. For most of human history arithmetic has been an act of human intelligence, aided only occasionally by devices like counters, the abacus, or the slide rule. The collections of the National Museum of American History document the development of adding machines, from stylus-operated models to increasingly compact, light and powerful key driven instruments. The corporate collections of the pioneering firms of Felt & Tarrant and Burroughs are especially well represented. Advertising is meant to persuade, and the themes and techniques of that persuasion reveal a part of the nation's history. From butter churns to diesel tractors, the Museum's agricultural artifacts trace the story of Americans who work the land. By the 1700s, samplers were being worked by young women to learn basic needlework skills. Samplers are important representations of early American female education and this group features 50 of the 137 American samplers in the Textile Collection. Objects for math instruction reveal the changing role of arithmetic in American education. From the 1820s, teachers in public schools encouraged mental discipline by using textbooks and blackboards, while the teaching abacus and special geometric models utilized tactile learning. In the early 1900s, psychologists and math teachers used new educational theories to develop special flash cards, standardized tests, and educational games. During the 1950s and 1960s, more abstract approaches gained prominence. Recently, inexpensive electronic calculators have been used to teach— as well as perform —arithmetic. The National Museum of American History is not an art museum. But works of art fill its collections and testify to the vital place of art in everyday American life. The Art of Frank Gasparro consists of 115 drawings, plaster models, photographs, newspaper clippings and ephemera collected by, and related to, Frank Gasparro, the 10th United States Chief Engraver. Christina Hansen, Gasparro's daughter, donated the collection in 2009 to the National Numismatic Collection (NNC). Selected objects from the Museum’s significant collection of patent medicines. Begun in 1930, the collection has grown to over 4,000 products dating from the 19th century to the present day. During World War I, the British blockade of German ports prevented American manufacturers from importing dyes for textiles, paper, and leather. See how one American silk company made a virtue of necessity by starting a fashion for dressing in black and white. Beginning in the 14th century, a small number of European businesses kept careful written records of receipts and expenditures. These bookkeeping methods gradually diffused throughout Europe and the United States. With the advent of typewriters and adding machines, many large retail firms, government offices, and banks invested in custom-made, expensive bookkeeping machines. The bookkeeping machines in the collection of the National Museum of American History come from a variety of makers, including adding machine manufacturer Burroughs, cash register maker NCR, and typewriter firms Remington and Underwood. The Bristol-Myers Squibb European Apothecary is an eclectic collection of more than 1300 pharmaceutical artifacts assembled over a period of forty years by Dr. Jo Mayer, a German Jewish pharmacist. This group contains the calculating machine collection from the Division of Medicine & Science at the National Museum of American History. 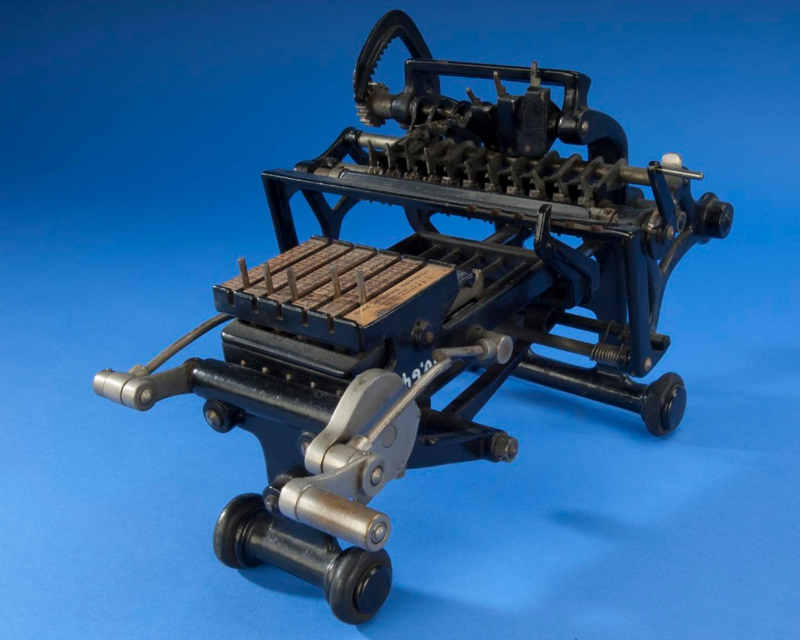 During the late 19th and early 20th century, calculating machines served as common tools of scientists, engineers, statisticians, actuaries, government officials, and payroll clerks. Around 1970, calculating machines began to be replaced by cheap electronic calculators and the devices became hefty reminders of a bygone era. The following group of California mission postcards includes views associated with the twenty-one missions established between 1769 and 1823 by Spanish Franciscan missionaries along the California coast from San Diego to San Francisco. As American business and cash purchases expanded in the second half of the 19th century, shopkeepers bought recorders and registers to secure their money and track transactions. This object group traces the development of the register from its invention in 1878, suggests the dominance of the market by National Cash Register Company during much of the 20th century, and shows the introduction of electronic point of sale terminals and the rise of the Universal Product Code. This group explores the rich Civil War history in the Armed Forces History and Numismatic collections. Objects include an array of items from uniform accoutrements and firearms, documents and coins. Through the collection we can understand the perspective and experiences of the common soldier and the high-ranking officer. The collection reveals numerous stories that give intriguing insight into the nation’s Civil War narrative. Work, play, fashion, economic class, religious faith, even politics—all these aspects of American life and more are woven into clothing. The Museum possesses one of the largest numismatic collections in the world. These examples of original pen and ink comic art drawings were prepared for publication in newspapers across the country. The drawings date mostly from the 1940s, 1950s, and the 1960s. They help us look at American history through the reflective lens of the comic art medium. Their storylines and characters portray evil, ruthless, immoral, and corrupt individuals as well as their counterparts who assist a maintenance of American morals and a popular way of life. The Comitia Americana series memorializes some of the pivotal moments of the American Revolutionary War. The series was created between 1776 and the early 19th century almost exclusively by French artists and artisans at the commission of the United States. The name of the series, Latin for American Congress, denotes that these medals were created after Continental Congressional votes to memorialize the heroism, friendship, and leadership of key American and French revolutionaries. Each medal was struck either at the Paris Mint or the United States Mint in Philadelphia. The Smithsonian’s National Numismatic Collection currently holds 119 of these medals and 10 commemorative reproductions dating to the 20th century. The iconography of each medal is deeply neoclassical in its use of heroic and Hellenistic portraiture, symmetrical panoramic battle scenes, and mythic scenes played as Revolutionary battles. Tools of communication have transformed American society time and again over the past two centuries. The Museum has preserved many instruments of these changes, from printing presses to personal digital assistants. The last few decades offer proof positive of why museums must collect continuously—to document technological and social transformations already underway. This group of objects features a wide variety of personal care, hygiene, and beauty products held within the Division of Medicine and Science at the National Museum of American History. Each entry includes photos of the object, the product’s name, and when known, the maker’s name, place of manufacture, and a date range. Ingredients and therapeutic or beautification claims, as indicated on the product packaging, are sometimes included. Some of the simplest computing devices made and sold are aids to counting. From ancient to early modern times, scribes performing calculations moved small stones or metal tokens along lines. More recently, mechanical counters have been widely used to count crowds and objects, and as parts of machines. In the nineteenth century, several inventors patented mechanical counters. Patent models surviving in the Mathematics Collections at the National Museum of American History suggest the range of their concerns. Furniture, cooking wares, clothing, works of art, and many other kinds of artifacts are part of what knit people into communities and cultures. Dividers and compasses are instruments for mathematical and engineering drawings that have also been used in schools. Additionally, dividers were employed in conjunction with other measuring and calculating instruments, such as sectors. The metal, wood, and plastic objects in this collection were used in Europe, North America, and Japan from the 18th to the 20th centuries. Washboards, armchairs, lamps, and pots and pans may not seem to be museum pieces. But they are invaluable evidence of how most people lived day to day, last week or three centuries ago. While writing implements are found throughout NMAH, this object group focuses on about three dozen pens, pencils, and related objects in the mathematics collections. It illustrates some of the diversity in writing tools used for technical drawing in Europe and the United States from the 18th to the 20th centuries. In the 1910s innovative French fashion designer Paul Poiret organized the Martine School to train girls in designing for the decorative arts. Jean Duplan, a French silk manufacturer, opened a mill in Hazleton, Pennsylvania in 1898 and in 1914 acquired a license from Poiret to manufacture several Martine School textile designs. These designs may be the first example of such licensing by the American textile industry. The NMAH Textile collection holds six samples: four different designs two designs in two different colorways (color combinations). The expansion of American business, science, and technology in the years following World War II created a demand for powerful computing machines at a relatively moderate price. The development of compact electronic components—first sturdy vacuum tubes, and then transistors, made this a physical possibility; and led to the introduction of the desktop electronic calculator in the early 1960s. 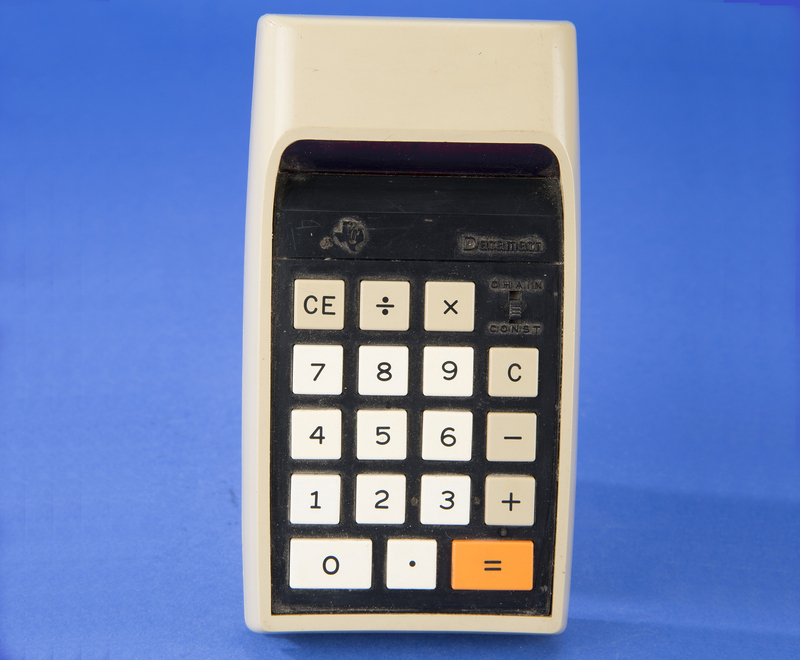 In the course of the 1970s, handheld electronic calculators transformed the way tens of millions of people did arithmetic. Engineers abandoned slide rules, business people gave up desktop calculating machines, and shoppers replaced simple adding machines and adders. A set of eight devices known as ellipsographs used to render ellipses in engineering and architectural drawings. In the early 1800s, silk-embroidered pictures became a popular form of needlework in America, and young women could learn this challenging needlework technique at specialized academies. In addition to patriotic scenes, subjects included classical, biblical, historical, and the ever-popular mourning pictures. The Museum's collections on energy and power illuminate the role of fire, steam, wind, water, electricity, and the atom in the nation's history. The engineering artifacts document the history of civil and mechanical engineering in the United States. Donations to the Museum have preserved irreplaceable evidence about generations of ordinary Americans. The advent of commercial electronic computers prompted creation of flowcharting templates. These small drawing instruments helped those designing and selling computers to create diagrams that described what a computer program did. 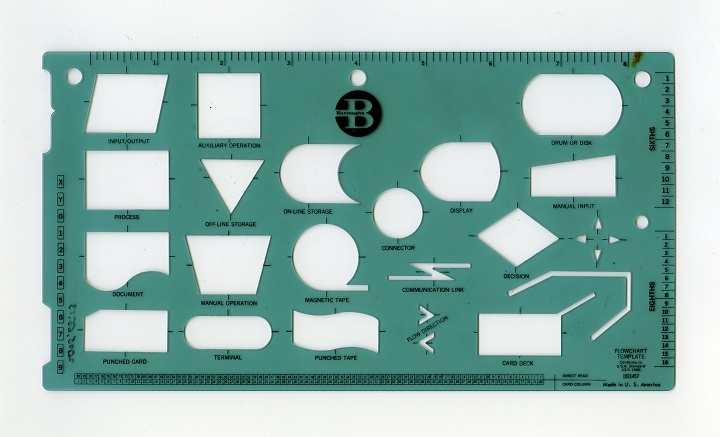 Templates became a standard tool of computer programmers, often distributed as a promotional device. Part of a nation's history lies in what people eat. Artifacts at the Museum document the history of food in the United States from farm machinery to diet fads. This is a collection of reliefs made by A. Jullien to illustrate his textbook, Cours élémentaire de géométrie descriptive, a Basic Course in Descriptive Geometry. From ancient times, mathematicians have been intrigued by polyhedra, closed surfaces with polygons as sides. They have been especially interested in those in which the polygons are regular – the sides have the same length and the angles are equal. 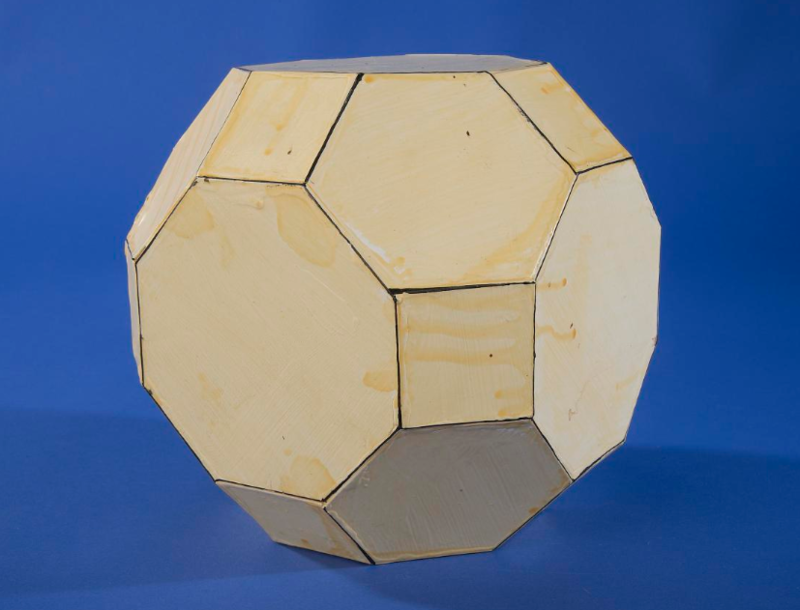 This is a collection of geometric models from the collection of Mathematics in the Division of Medicine and Science. The roughly 100,000 objects in this collection reach beyond the possessions of statesmen to touch the broader political life of the nation—in election campaigns, the women's suffrage movement, labor activity, civil rights, and many other areas. This group contains over 77 examples of the engraved wood blocks and electrotypes used in illustrating the publications of the Bureau of American Ethnology from 1879 until 1965 now in the Graphic Arts collection in the National Museum of American History. The Museum's collections of medical science artifacts represent nearly all aspects of health and medical practice. The Museum's collections document centuries of remarkable changes in products, manufacturing processes, and the role of industry in American life. During the opening months of World War II, nearly 120,000 Japanese Americans, two-thirds of them citizens of the United States, were forced out of their homes and into incarceration camps established by the U.S. government. Many would spend the next three years living under armed guard, behind barbed wire. This collection explores this period when racial prejudice and fear upset the delicate balance between the rights of the citizen and the power of the state. It tells the story of Japanese Americans who suffered a great injustice at the hands of the government, and who have struggled ever since to ensure the rights of all citizens guaranteed by the U.S. Constitution. The Smithsonian’s collection of kinematic models is housed in the National Museum of American History. These models were published by the German firm of Martin Schilling at the turn of the 20th century. Kinematic models were used to produce mathematical curves and other mathematical concepts useful to mathematicians, engineers and scientists. The lace collection was started in 1908 to assemble a collection of arts and crafts for the Smithsonian Institution. From the initial 500 pieces it has grown to approximately 6,000 objects. Most of the objects originated in Europe and were donated by American collectors. Almost 10,000 patent models reside in the Smithsonian’s collections—about 40 of them demonstrate marine inventions from the 1770s to the 1950s. These watery innovations offer a glimpse of the ways that inventors, particularly in the nineteenth century, sought to overcome the many challenges Americas encountered working and traveling on the water. Those learning and using mathematics have long consulted tables of numbers. This collection from the Division of Medicine and Science illustrates the role of numbers in everyday American life—in schools, commerce, weights, measurements, banking, taxation, sales, shipping, payroll, manufacturing, gunnery, and public safety. In 1915, the Mathematical Association of America formed to encourage advanced mathematics teaching in the United States. To mark the centennial of the organization, we present a few objects associated with charter members of the MAA that survive in the collections of the National Museum of American History. Cartoonist, book illustrator, and children’s author David Crockett Johnson painted over 100 works relating to mathematics and mathematical physics. 80 of these paintings are in the Museum's collections. Where, how far, and how much? People have invented an astonishing array of devices to answer seemingly simple questions like these. These objects illustrate the development of standard American weights and measures. The U.S. Constitution explicitly grants the federal government authority to establish uniform national standards. From 1834, these were customary British units. Not long after the French Revolution of 1789, France introduced a system of weights and measures that survives today as the metric system. These units were adopted internationally during 19th and 20th centuries. While the U.S. took steps to adopt the metric system, current American weights and measures remain a mix of the this system and customary units. "Mexican America" is a sampling of objects from the collections of the National Museum of American History. The stories behind these objects reflect the history of the Mexican presence in the United States. The Museum's superb military collections document the history of the men and women of the armed forces of the United States. This group features a variety of mining lamps, lights, hats and helmets from the collection of the Division of Work and Industry. Mining lights include oil-wick lamps, carbide lamps, and safety lamps. The mining hats are often soft caps with metal or leather mounts for a light. The hard plastic helmets have mounts for mining lights, usually electric lamps. The Museum's music collections contain more than 5,000 instruments of American and European heritage. The collection contains more than 500 quilts—both quilts made for functional, utilitarian purposes as bedding, and others made mainly for decorative purposes—and quilt-related items. The natural resources collections offer centuries of evidence about how Americans have used the bounty of the American continent and coastal waters. Parallel rules help draftsmen, surveyors, cartographers, architects, and navigators draw accurate parallel lines. The collection includes both hinged and rolling parallel rules from the 18th to 20th centuries. Patent Models at the National Museum of American History that relate to graphic arts. This sampling of over 40 patent models includes textile machinery (1837-1840) and sewing machines (1842-1854). The millions of photographs in the Museum's collections compose a vast mosaic of the nation's history. After the U.S. entered World War I in April 1917, the Army commissioned eight artists to record the activities of the American Expeditionary Force (AEF) in France. The mission of America's first official war artists was to capture the wide-ranging activities of American soldiers with the intent of shaping popular understanding of the war at home. Their collective output of more than 700 sketches, drawings, and paintings captured a rich and compelling “in-the-moment” view of the Great War. The Division of Armed Forces History holds over 500 pieces of this official artwork in their collections. Situations frequently arise in which a person needs to measure the area of a two-dimensional space bounded by a closed curve. 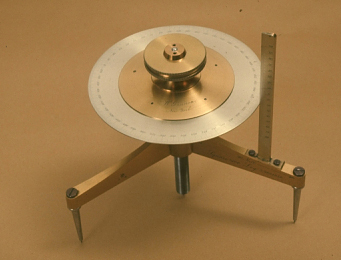 Planimeters are instruments used to help find that area, by tracing the curve with a needle point connected to a measuring wheel that converts the distance of the tracing to the result of an integral function. Planimeter users include cartographers representing landscapes with irregular boundaries, medical professionals measuring an image of a tumor or internal organ, biologists observing irregularly-shaped natural phenomena, or machinists monitoring steam engines for efficiency. The Constitution made the presidency and the positions of senator and representative elective offices. By the early 19th century, rivalries among political factions in the new government led to the creation of a competitive party system. The promotion of candidates among an expanding electorate placed increasing importance on the success of popular political campaigns. Without indoor plumbing, bathing in the early 19th to the early 20th centuries involved filling small portable tubs with water, bucket by bucket. 10 examples of portable bathtubs are featured here. Printing Matrices for "Narrative of the U.S. Exploring Expedition"
This collection features printing matrices—either engraved plates and blocks or lithographic stones—used to print the Narrative of the U.S. Exploring Expedition and its accompanying volumes. Protractors are mathematical drawing instruments used to draw and measure angles, typically used by students in geometry. But protractors have a long history of applications in navigation, surveying, engineering, and war. Learn the story behind recombinant DNA, an early genetic engineering technique, from its conception in the lab to its commercial use to produce drugs for the pharmacist’s shelf. One hallmark of the American experience captured in the Museum's collections is the nation's broad diversity of religious faiths. This group contains length measures (rulers, yardsticks, and the like) as well as other (usually rectangular) instruments for drawing, measuring and calculating. These include architect's scales, plotting scales, triangular rules, and Gunter's scales. The Museum's collections hold thousands of objects related to chemistry, biology, physics, astronomy, and other sciences. The mathematics collection holds artifacts from slide rules and flash cards to code-breaking equipment. Sectors are mathematical calculating instruments chiefly used by Europeans - including in North America —from the 16th to 19th centuries. This collection of 23 objects illustrates the three main forms of sectors. They are made from brass, ivory, and wood, and they range in length from 3" to 13" when folded. From the 18th through the 20th centuries, instrument makers and retailers sold a selection of dividers, compasses, protractors, curves and triangles, rulers, calipers, sectors, pencils, and other mathematical and drawing tools in sets to draftsmen, architects, builders, and engineers. These sets were often packaged in sturdy wooden cases or pocket holders covered in leather. Slide rules were the primary calculating instruments for engineers, scientists, students, and others in North America, Europe, and East Asia from the late 19th century until inexpensive electronic calculators became available in the late 20th century. This collection of over 250 objects also illustrates earlier aspects of the history of slide rules and the variety of calculating tasks that inventors have attempted to simplify by designing slide rules. The transportation collection in the Division of Work and Industry at the National Musuem of American History contains around 80 full-size automobiles. The automobile collection attempts to include significant automotive milestones as cars changed from horseless carriages to an intrinsic part of American life. This presentation is adapted from "Automobiles and Motorcycles in the U. S. National Museum" by Smith Hempstone Oliver. 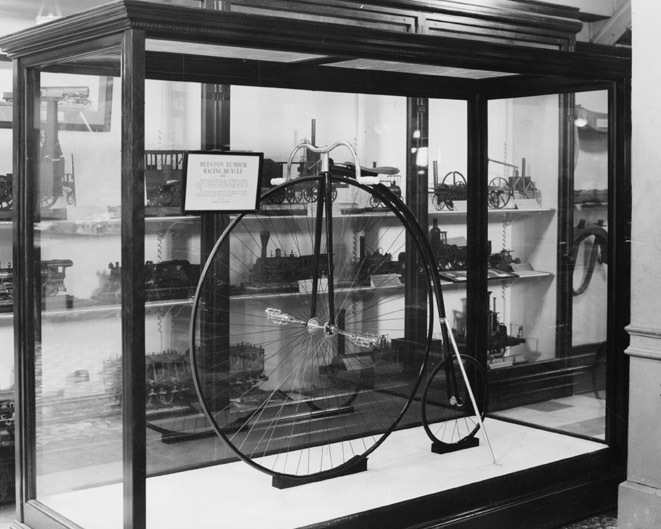 The Smithsonian's cycle collection began in 1889 when J. Elfreth Watkins, curator of transportation, accessioned a velocipede. This group focuses on the bicycles from the 1974 book Wheels and Wheeling: The Smithsonian Cycle Collection. It also includes a few bicycles that appear in America on the Move as well as bicycles that have been recently added to the collection. A set of devices known as spherometers used to measure the radius of curvature of spheres or curved objects such as lenses. The nation's passion for sports is obvious every day—at NASCAR races, kiddie soccer matches, and countless other contests. From the 17th through the 20th centuries, draftsmen, surveyors, navigators, military engineers, and architects used set squares, T-squares, L-squares, and drafting triangles to draw vertical, horizontal, and diagonal lines. These instruments were sometimes combined with scale rules and other drawing instruments. Sushi, a Japanese food that comprises of cooked vinegared rice and ingredients such as fish, seafood, eggs, and vegetables, is a food type that has evolved over the centuries. What was once a delicacy for the nobles in Japan has been popularized to reach a wide domestic and international audience. Sushi, which traditionally comes in various forms, has taken on further adaptations to accommodate to local tastes. Beginning in the late 19th century, Americans used special tabulating machines to compile the large quantities of data accumulated by governments, large businesses, and scientists. Operators punched holes in cards. Machines read these, accumulated totals, and sorted the cards for further processing. Tabulating machines would be displaced by electronic computers beginning in the 1950s, although punched cards remained in use somewhat longer. Explore Puerto Rico’s history, from the 16th to the 20th centuries, through the eyes of collector Teodoro Vidal. Vidal captured the island’s history by collecting thousands of objects. Over 80 artifacts are featured here. The 50,000 objects in the textile collections fall into two main categories: raw fibers, yarns, and fabrics, and machines, tools, and other textile technology. The abacus is a computing device on which arithmetic calculations are performed by sliding counters (beads, pebbles, or flat discs) along rods, wires or lines. Antibodies are at the heart of many of the medical technologies that Americans rely on. This Object Group features over 1,000 objects related to the history of vaccines, serums, antitoxins, diagnostics, and other therapies, which all employ the power of antibodies to protect and improve health. These collections are held within the Division of Medicine and Science at the National Museum of American History. Ralph Baer donated his video game test units, production models, notes, and schematics to the Museum in 2006. 11 objects are featured in this online collection. A selection of prints collected by Stephen James Ferris (1835–1915), a Philadelphia painter and etcher. The collection includes over 2,000 European and American prints and a variety of artistic subjects, compositions, and styles. This group details one of the Smithsonian's first collections, the prints and engravings of George Perkins Marsh. 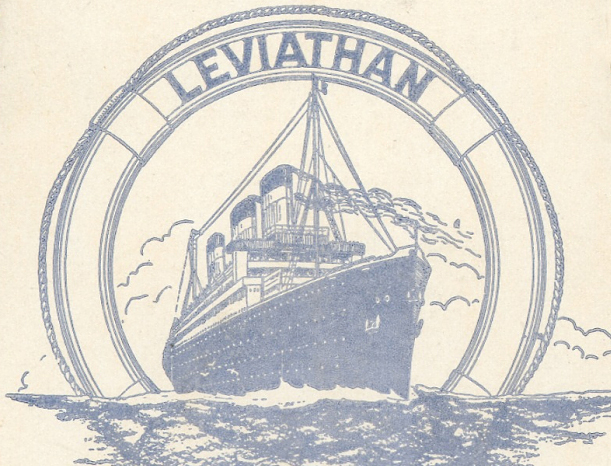 The ocean liner Leviathan was one of the largest and most popularly recognizable passenger ships on the Atlantic in the 1920s. Like all ocean liners, the ship was at once a complex and powerful machine as well as a socially stratified hotel catering to different travel budgets and expectations. Explore the ship, its workers, and passengers through its objects. In 1889 Michimasa Tokuno, head of the Japanese bureau of engraving and printing (Insatsukyoku, part of the government Ministry of Finance) presented the Smithsonian with a remarkable group of wood blocks, color prints, sample pigments, and related tools. A group of objects related to the sinking of the Titanic, including the stories of the Carpathia rescue ship, Bernice Palmer, and Harry Cheetham. Americans have always been a people on the move—on rails, roads, and waterways (for travel through the air, visit the National Air and Space Museum). During the last third of the 19th century American mathematics matured and American women gained access to both undergraduate and graduate education. Most of the items in the Smithsonian collections that relate to women mathematicians are connected with pioneering women who joined the growing American mathematical community before World War II. The objects in this collection illustrate diverse aspects of the personal and professional lives of several women mathematicians.